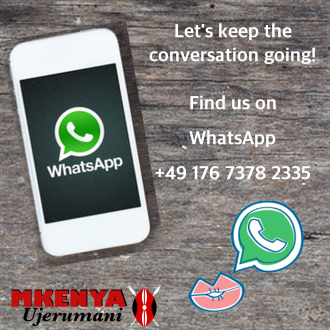 As promised the details for the event in Nairobi are here. The event will be on the 15th of September from 11am till 5pm at Deep West next to T.Mall. 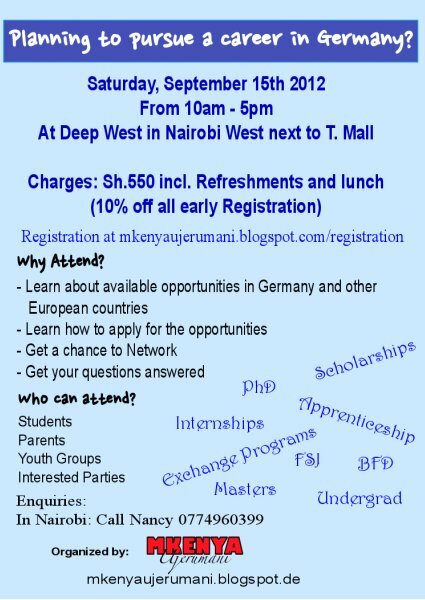 We’ll discuss about opportunities open to Kenyans in Germany and many other European countries, from applying for FSJ to internships and scholarships. 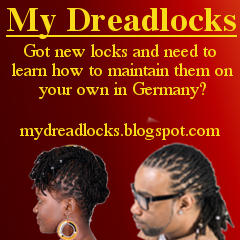 Come with as many questions as possible, we got hours to discuss them and have them answered. Come one, come all and bring your friends and relatives along. 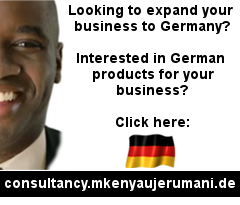 All the Mkenya readers based in Germany, spread the word to your relatives back home.